Some people call it the “invisible disorder”, other people will say to you “your kid doesn’t look Autistic”… the plus side to this is that if your child progresses well enough and is capable of becoming independent later in life, no one ever needs to know. The down side is that each time you hear it, you always feel a little insulted, a little frustrated… a little alone. The problem is that Autism isn’t invisible, it does show itself… other people just don’t know it. My wife’s gym has 2 classes a week where children are invited to come along with their parents. They do exercises and dances and so forth to be active. It’s not too crowded and the music isn’t too loud so my wife decided to bring along Cameron to give it a try. Cameron tried his heart out to do the moves that he saw other people do, he tried his heart out to have fun. But that invisible disorder that no one seems to see? Everyone saw it. Cameron’s hands flailed as if totally beyond his control. His tongue was sticking out the entire time due to his intense concentration. He completely shut down and didn’t even try if something looked like it was something he’d never be able to do. When he got happy, he laughed well above and beyond what others did. When he got sad that he couldn’t do it, he got sad above and beyond what others did. My wife was left wondering whether or not she is supposed to explain to the other parents why they saw Cameron differently from the other children. She was left wondering if they were quietly thinking hurtful things about her… or about our son. Cameron had a great time and was eager to go back. He’s still young, he doesn’t see their gazes, he certainly doesn’t know what those gazes would even mean and, hopefully what will last a long time, he really doesn’t care. Still, as I tucked him into bed that night and gave him his hug and kiss, I couldn’t help but think about tomorrow and all the days after… is this what is in store for him in all the things he will do? Is this the result of people not being aware of what Autism really is? Is this more a case of them forgetting about Autism entirely when they see a child that isn’t “normal”? Or is it just human nature for people to feel negatively toward anyone that’s different? Perhaps it’s just us that “feels” those gazes when perhaps they weren’t really even there, or at least, not as bad as we thought they were. What really matters is that this invisible disorder that no one seems to see is not invisible, it’s out there for all to see every time we go some place or try to get involved in something. I can’t make the world stop judging anyone they see as different, anyone they see as doing something that’s not quite normal… I can’t stop the uneasy feeling I get when I worry for my son having to deal with that on his own as he gets older. One day, he will notice and he will know what it means and he will care. All of this, and my son is considered “high functioning” at this point. That puts me at, or close to, best case scenario realm. It’s oh so much harder for those who’s children have it even worse. Sometimes I think it would be easier if there was some visible sign to Autism. Perhaps then people would finally get it. I agree wholeheatedly with your article. We’ve experienced similar glares from people who presume we are allowing “bad behaviour” from our son when he goes in to meltdown. I’ve often wondered if it would be easier if there were visible signs like DS but as you say if in later life our sons are able to live independantly it will be to their benefit. The compromise we found worked well was an “I have autism” badge / keyring on his reins so people close up could see. On one occasion what had been tutting turned in to encouraging smiles once the badge had been seen. Like us you are I believe taking the correct course to try and integrate your son by gentle steps and even though I often feel how much easier it would be to hide away from the world it would be of benefit to no-one. I guarantee you with 100% certainty that the people that are giving you glances, they too know someone, are related to someone or have contact with someone that autism as well. With the CDC estimate of 1 out of 110 individuals having an autistic spectrum disorder, today it is out of the norm to find someone that does not have a connection. Keep taking Cameron out into his community. He is young and he needs interactions in order to learn how to relate to a world that is not like his. The glances of others last for a short while and will soon be forgotten. Healthy interactions with his world will form a memory for Cameron that will last a lifetime. You know, it’s difficult for us as parents. We are special. We know what we are looking at and because of that knowledge, we know how to really see it and see past it. Others, who are in the dark with ignorance neither see it nor attempt to and so go directly to uncalled for and unsubstantiated judgments. I know what you feel. We want to shield our children but we can do that only so long. Then the ignorance of the world outside will slowly seep its way in. 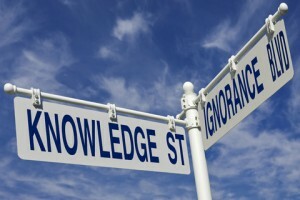 All we can do is educate and attempt to minimize the ignorance. Maybe, with our efforts, more people will understand and our children will be protected the best we can protect them. At 13, I’m still not sure if my son grasps his differences and the looks he gets. But, he is a happy kid. Isn’t that all that really matters? Oh yes, Autism is only invisible b/c it is often mistaken for something else. Bad kids, bad parenting. We get looks a lot b/c Katie has meltdowns A LOT. That class would have been a total and complete nightmare for us. I find myself struggling with whether or not I should tell every single person we meet, up front, that Katie has Autism, but a lot of the time I don’t. Partly b/c I don’t want her being judged off the bat if, by some miracle, she can hold it together, and partly b/c if she does hold it together then there is even more judgment with people thinking it’s all in my head.I tend to want to give her a chance without the label, though…for now. I can ignore the looks easily enough. It is the comments “why don’t you just smack her?” etc that really grate on me. Most comments I can use as an opening to spread awareness & understanding about autism, but not when they come from such a negative place. I love this post. And I really get your wife’s incertitude about whether to tell other parents or not. I don’t have a problem about that information being out there – the more people are aware of autistic people’s existence, the less they’ll freak out about it. But how do you tell in that kind of situation? It’s not like you can – or should – wear a t-shirt that says: ‘My son/daughter is autistic’. Or, they might ask you why you’re not drugging the kid into submission. Or chelating it all out of him. Sorry, I’m a bit cynical. I read this post and though, finally I am not alone. I used to want to say to people, he’s not misbehaving he has autism. My son Christopher who is 3.5 yrs old is high functioning ASD with behavioral and sensory problems. He has good days nad bad days. He cannot always hold it together at home or in public, he usually is shy and very sweet at family gatherings. I hear he isn’t autistic, they are overdagnosng these children, be cautious. It drives me wild. I didn’t want to admit it at first that my son was “different” but I did and took him to 2 doctors from CHildrens hospital of Philadelphia and the specialized hospital for children and he certainly has autism. People just don’t get it, a lot of people associate autism with not being able to speak or being in their “own” world. My son is not that, he had obsession and it is all imaginary play which is part of his autism. I know how you feel.